It’s that time of year in the great outdoors. It’s both beautiful out, making you want to spend as much time in the mountains as possible, and it is also nearly impossible to gage what to wear each day! When the sun is out, your soaking up the rays until your saturated in sweat. When the clouds take over, you’re chilled to the bone with the dampness in the air. How do you prepare for a backpacking trip when you have no idea how to dress for the weather?! Layers! In the fashion world, layers are all the rage in Autumn. It doesn’t happen very often, but it turns out that this time the fashionistas are on to something that those of us with more functional desires can grab a hold of. By dressing in and making sure to pack our layers on a trip, it is easy to be comfortable in whatever weather situation may arise. Here is a breakdown of several types of layers and how the work best. Thats right, even your undies matter here, at least for comfort. 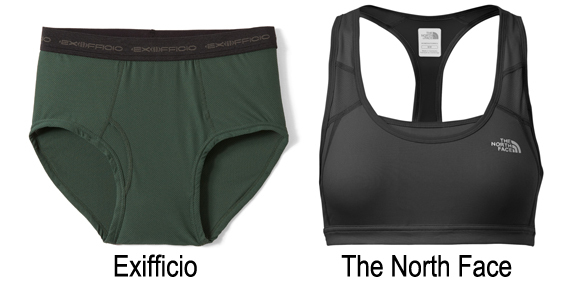 Cotton underwear and bras are comfortable in daily life but they are sure to end up swampy when you begin sweating. Synthetic materials such as Polyester are quick drying. Avoiding cotton is the name of the game. When caught in the rain or working up a hard sweat, cotton is sure to leave you uncomfortable. It clings to you went wet, drys very slowly, and is not able to retain its warming capabilities. Your first actual layer, or base layer, is best when make of Merino wool or a thicker synthetic material. A long sleeve and pant is the next level of a well built and functional outfit for hiking. Some times it is a good idea to wear a t-shirt under your base layer if you wish to be a bit cooler. 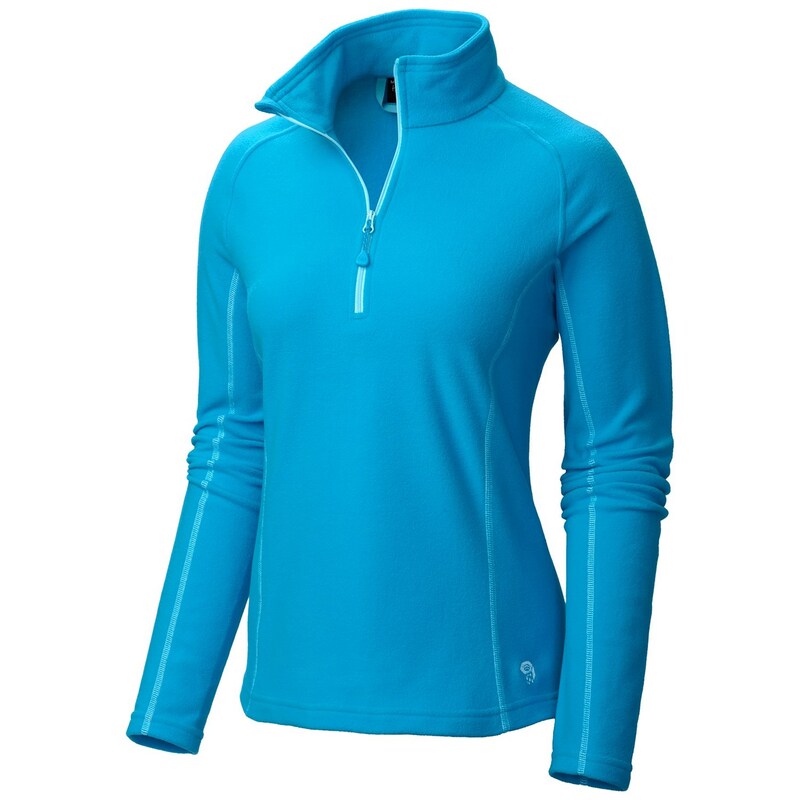 This base layer cuts the wind and gives you that extra little bit of warmth on a day with a bit of chill in the air. Merino wool is not as quick drying as it’s synthetic pal but it does excellent in retaining warmth when or if it gets wet. This time of year, temps can easy fluctuate between wide ranges once the sun sinks behind the trees. Sometimes having a mid layer is an easy way to tailor your comfort to an even tighter degree. 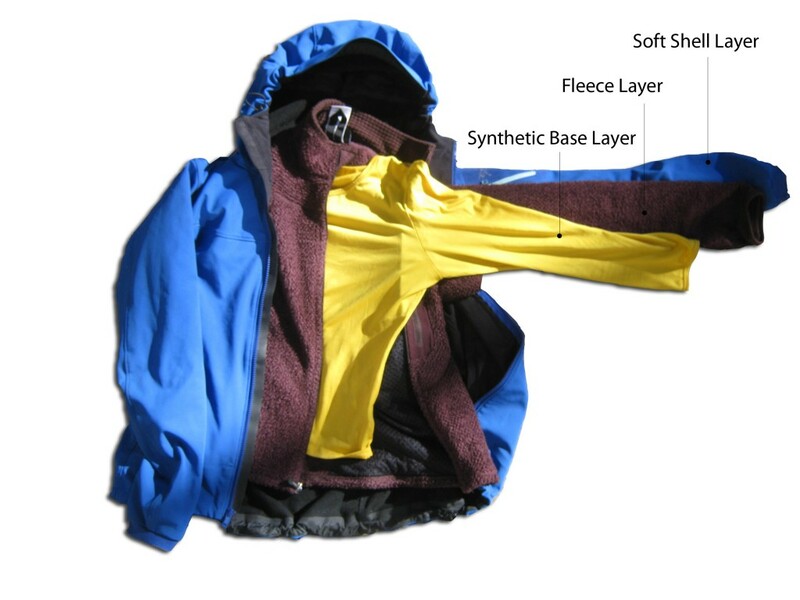 A material like fleece makes a popular mid layer for light insulation. 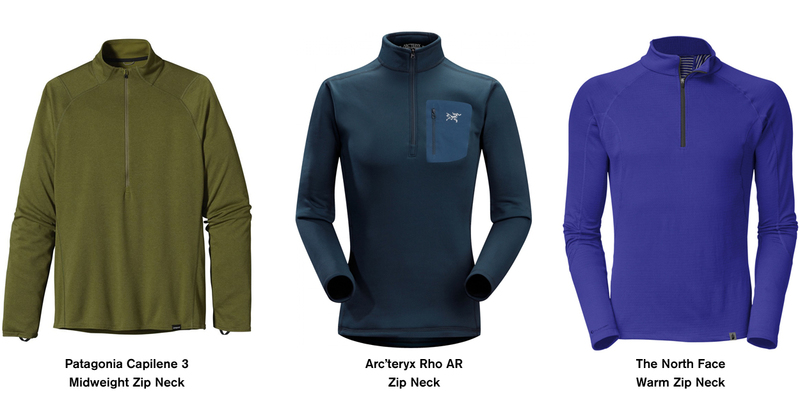 Popping on a fleece over your long sleeve base layer will help retain any body heat radiating off you. Some hikers opt to even carry a light bottom insulation layer as well, though an article of clothing like fleece pants is both bulky and heavy. Simply pulling on your base layer bottoms over shorts or pulling a pair of Nylon hiking pants on over your base layers is the best option. The benefit of a fleece top is much more worth its weight than bottoms are because less body warmth is lost through your legs than your torso. A wool or fleece hat is also an excellent way to retain body heat at this level of chill. Your soft shell insulation layer is where the real warmth comes in play. While hiking, it is best not to even wear this layer. But when you reach camp, this is the heavy duty insulation layer that becomes your best friend and makes hanging out in camp manageable. 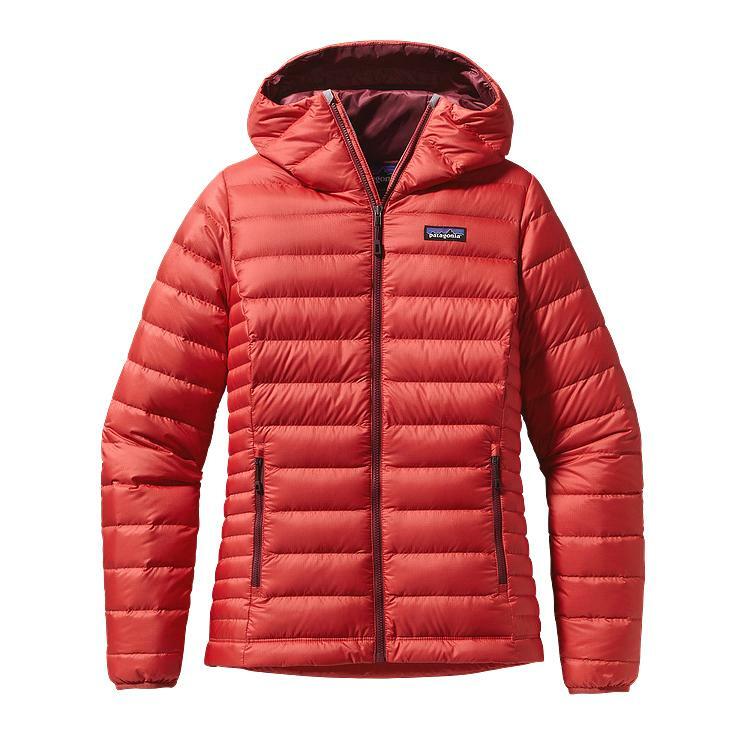 For most hikers, this layer consists of a down jacket. These guys build up and store all of the body heat you are creating and even second as a great pillow once you crawl into your sleeping bag at night. They are excellent to wear for warmth in any situation where you are not working up a sweat or exposed to rain. 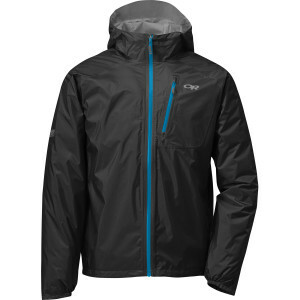 A rain shell is the last layer to finish off the perfect layer hiking outfit. The rain shell will protect your down jacket layer and keep it dry, which is important. No matter which layer you throw your rain jacket on over, it will trap your body heat and also cut wind, making it and excellent emergency warmth layer. Whenever you go out into the elements, there are tons of weather possibilities. Likewise, there are tons of layering possibilities. With knowledge of the different types of layers and how they work together, you can estimate what will be best for you in the area you will be hiking. Remember that to have an extra light layer you don’t use is safer and more enjoyable than being unprepared and facing a bad situation. Yet still, like all gear, consider the weight and packability of your clothing items. This entry was tagged appalachian Trail, backpacking, fall, hiking, insulation, layers, mountain crossings, Neel Gap, rain jacket, rain shell, spring, synthetic, Tips, tricks, weather, wool. Bookmark the permalink.